These are the last words of David: The oracle of David, son of Jesse; The oracle of the man God raised up, Anointed of the God of Jacob, favorite of the Mighty One of Israel. 2 The spirit of the LORD spoke through me; his word was on my tongue. 5 Is not my house firm before God? He has made an eternal covenant with me, set forth in detail and secured. Will he not bring to fruition all my salvation and my every desire? 6 But the wicked are all like thorns to be cast away; they cannot be taken up by hand. 7 One wishing to touch them must be armed with iron or the shaft of a spear. They must be utterly consumed by fire. My dearly beloved daughter, the faith of all God’s children, irrespective of which denomination they belong to, is so weak that many of those who know the Truth will find it very difficult to practice their religion openly, without criticism. 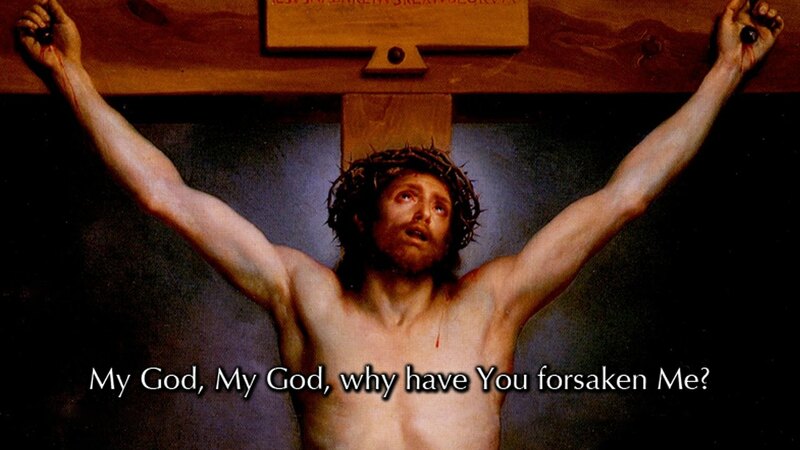 So many in the world reject Me, Jesus Christ, at this time in history, that it is no longer acceptable, in most nations, to speak of Me in public. Very seldom will you hear My Name being spoken about in the media, unless it is to question My Existence. Seldom will you hear people openly proclaim their love for Me in public, for they would find this too embarrassing. Even those sacred servants of Mine are no longer willing to declare the Truth for fear of ridicule. Those who do follow Me will find it increasingly difficult to proclaim My Holy Word. So many, who once loved Me, no longer do so and My desolation and sadness cuts My Heart, as if a sword was driven through it. Why, oh why, have you deserted Me? Why do those of you who believe in Me and who know Me, hurt so many of your brothers and sisters? Why does hate thrive in your hearts? Why do you feel the need to question the Gospels now, when they have existed for so long? Who gave you the authority to misinterpret My Word given to My apostles? Why are you twisting them and why do you not believe what I said? My Word is very clear. When I speak, I mean what I say. If I say one thing, I do not mean another. Why would I, for example, contradict Myself and especially now in this Mission? 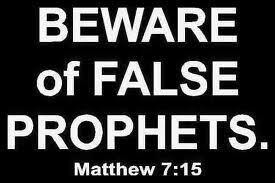 What is given to God’s prophets is the Truth. Anything which contradicts these Messages, from the mouths of those who claim that I speak with them, must be rejected by you. I would never compete with My Own Voice, because I must ensure that you are given the Truth. What must I do to make you listen? What must I do to stop your wandering and seeking out other forms of titillation? Why will you not trust in Me? You waste so much precious time seeking out fortune telling, which flows like venom out of the mouths of so-called mystics and sensation seekers, that you insult Me by turning away from Me. I Am here. These are My Words. What else do you seek, for you will only find the Truth from My Mouth? I spoke the Truth when I walked the Earth. I left a legacy of great hope and salvation. I speak the Truth now, as I bring you My Final Words, at this time, for the Great Day will dawn and soon the world without end will begin. When I speak, I desire that you listen. I cannot force you. You may look everywhere and try to find My Messages, given to prepare the world for My Second Coming at this time, and you won’t find them. My public Messages to prepare you for this, the final stage before My Covenant is fulfilled, can only be found in the Book of Truth. The Word is Mine. My Words will be heard in every nation. No one will stop Me, for My Power is Almighty. Prophecy fulfilled? A lightbulb moment! 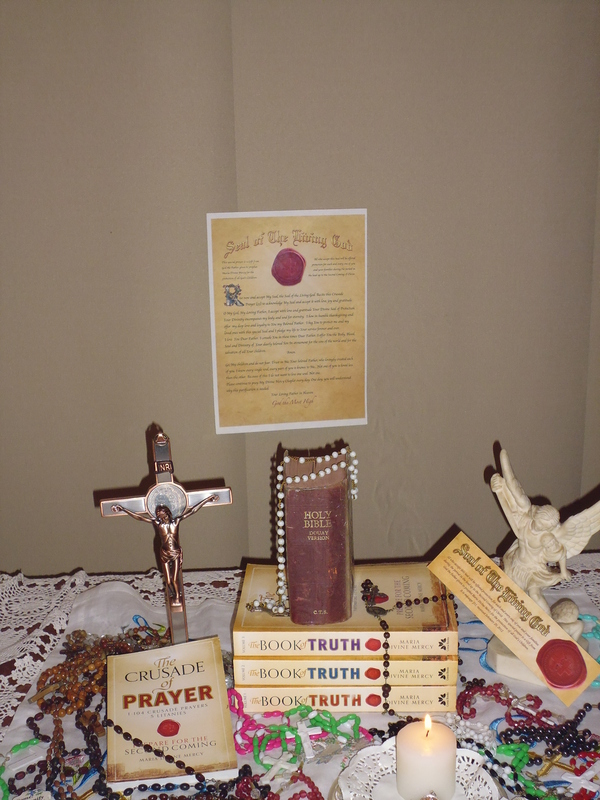 Last Wednesday, on 3April, 2019, our prayer group was listening to the reading, (chosen randomly by one of the prayer group members) from the Book of Truth. As soon as I heard those words (the ones highlighted in the quote above) I immediately knew what Jesus was referring to. The letters “LGBT” immediately entered my head. Unlike the other times we have read it, this time it was very clear! transgender education – new programs in schools and even pre-schools enforcing these (transgender) concepts on children. the laws where biological men can use women’s bathrooms if they ‘identify’ themselves as female, or vice versa, etc. Pope Francis even acknowledges this by calling “a she who was a she but is now a he” a reality and acknowledging their marriage as if they were true husband and wife. It seems that this is another prophecy fulfilled or in the process of being fulfilled. Some of our bishops and priests have even been slandered, attacked, accused and sued over what some LGTBQ individuals see as the law against discrimination forcing others to repress free speech and support their right to be and do as they please. These laws are just the beginning of what the world will demand we acknowledge and assent to (in law), in order to suit their desires. An army has a leader – a General . An army has a mission to defeat the enemy that threatens them. An army has weapons – that are approved of, and supplied by the Army Leader/General. The weapons chosen are the best weapons available that are needed to defeat the enemy. An army has a handbook, with its ideals, procedures and instructions and logo and rules. This must be followed. Soldiers must be obedient to their leader and their mission. The soldiers are as one in their mission, in their battle formation, in their allegiance to their leader and their country, and in obedience. This is the key to victory.. Crusade Prayer Groups are part of an army – the Remnant Army. The crusaders are the soldiers. Our Leader is Jesus Himself – Who gave us the mission and Who gave us instructions and a battle plan. Thoughts: Not following the General/Commander’s orders and not following the battle plan would be disastrous in a war. Soldiers would not dream of it. The Mission is the ‘Salvation of Souls’. The enemy is not flesh and blood. In order to win the battle, we must be as one. 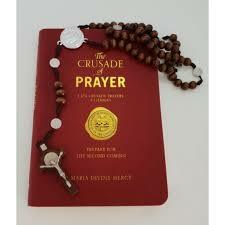 The weapons we are given are the Crusade Prayers, the Holy Rosary, and the Divine Mercy Chaplet. 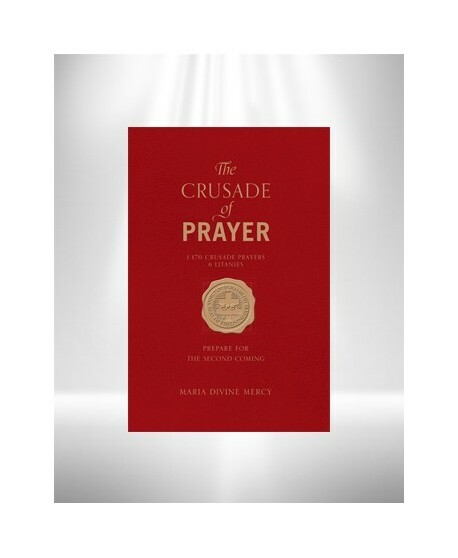 “Just one Crusade Prayer, said from the heart, is enough for Me to destroy the power of arrogant political leaders, who do not have a conscience” (29 Aug. 2013). The Rosary is a most powerful weapon, and Jesus told us that the Crusade prayers are 30 times more powerful than other prayers. Thoughts: In an army, only weapons that are approved by the General may be used. It is obvious that if the weapons were switched, or supplied with bullets that are inferior – that this would endanger the mission. This could happen by a traitor, an intruder or by someone who has no authority. It could mean the loss of the war. So let’s only use the prayers provided by Jesus – after all they are 30 times more powerful!! Why would you say other prayers?? 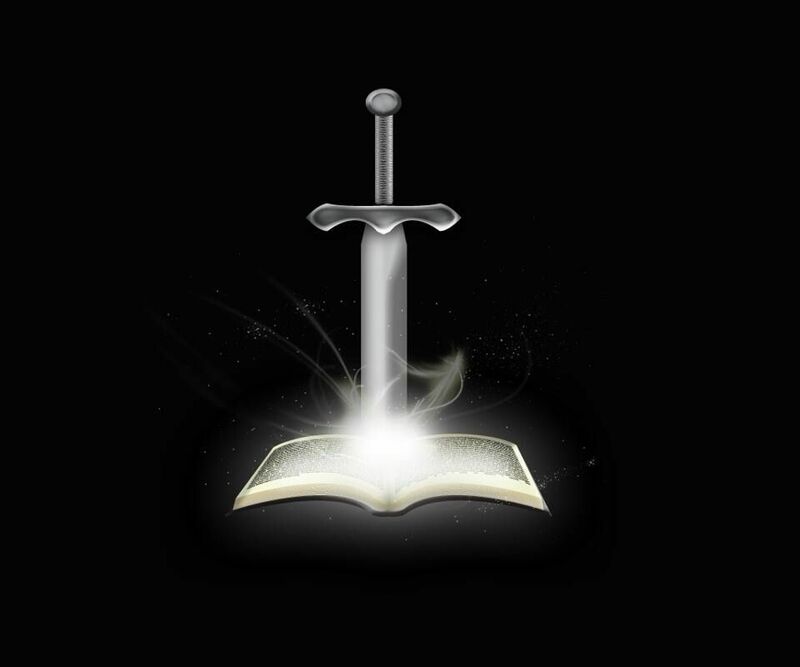 The handbook for the Remnant Army is the Book of Truth, the Crusade Prayer Book and the Bible. “… Only My Voice brings you the news as to what it is My Father wishes His children to know. …You will not hear the Truth anywhere else, in relation to My Second Coming, for not one amongst you has been given the Authority to speak to the whole world on behalf of the One Who created you. Thoughts: Be satisfied with God’s Words in the Book of Truth. Don’t be even tempted to look at the words of other mystics. We could be easily fooled. Don’t risk it. Remember, Jesus told us that there were less than 20 authentic visionaries in the world today. The Book of Truth is all we need.!!! If this is the case why would anyone include weapons (prayers) – that are not approved or recommended by the Army Commander? 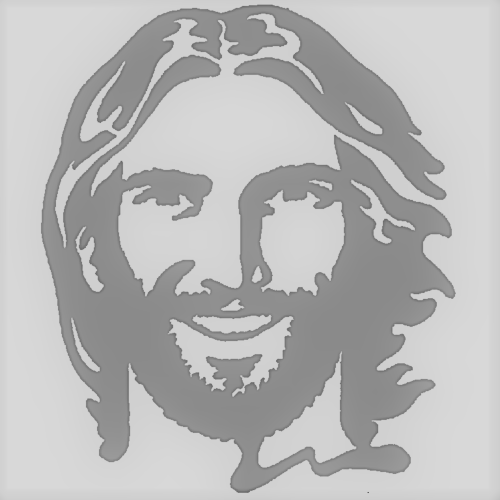 As Crusaders – part of the Remnant Army – we must be obedient to our Leader – Jesus Himself. 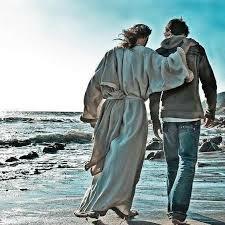 “It is because you are protected by My Father, and guided by Me directly, that you will succeed” (11 Nov.2012). 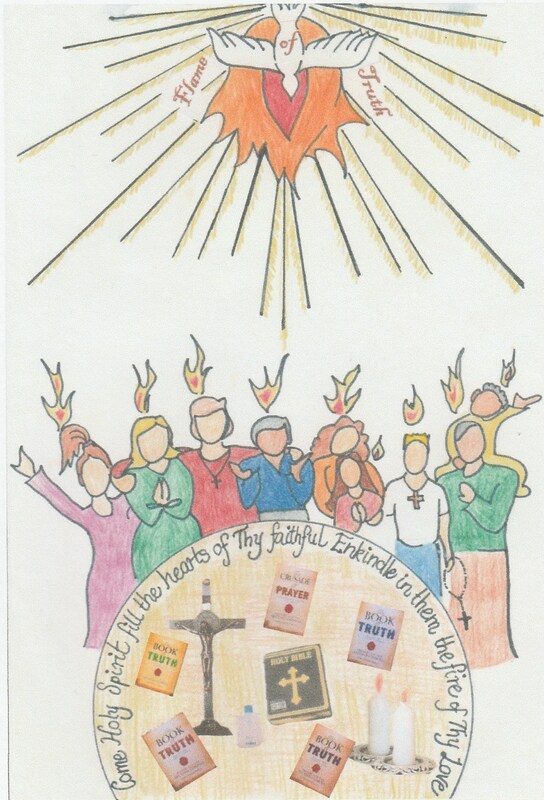 Jesus; Maria; a group of people sent to her by Jesus to be the co-ordinators in each region of the world. Maria is instructed by Jesus. Thought: Don’t try to do your own thing. Obey Jesus and the people He has chosen. That would be insubordination and disobedience to Jesus’ authority. 7. An army has a uniform. The uniform shows where your allegiance lies. It identifies you. Everyone, when they see a soldier in uniform, know what to expect. The uniform will also have a logo. 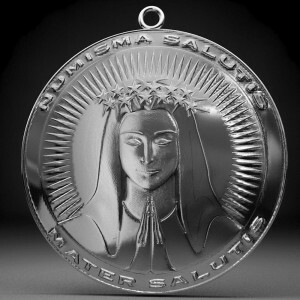 Crusa ders have a uniform – the Seal of the living God Scapular, the Medal of Salvation. Our logo is the Seal of the Living God. Thoughts: Let’s be prepared. Don’t allow disruption. Obey Jesus. If people leave the prayer group because they don’t like the rules, let them go. This might not be the right type of prayer group for them. Surely we do not want to be the soldiers that destroy or undermine the mission! The Crusader must be true to the Mission that Jesus gave us and be true and obedient to Jesus Himself. We must obey Him in every detail. So let’s all unite as one formidable army – making sure our prayer groups are obedient to Jesus’ instructions. 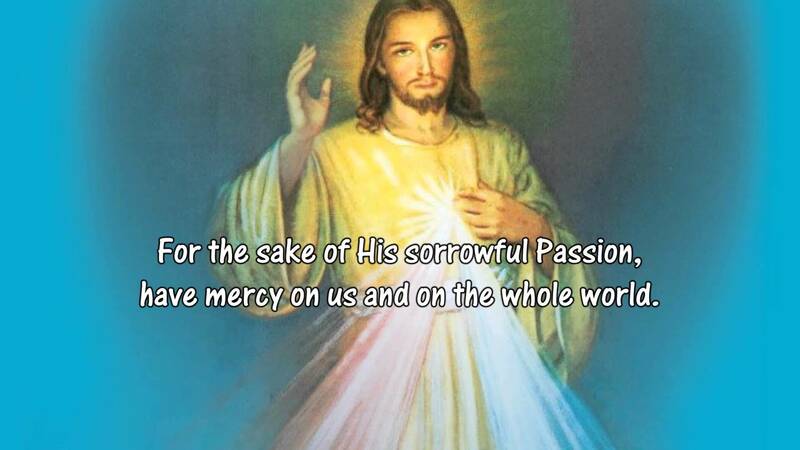 “You must present your prayers each day to my Son, for the protection of this Mission against the hatred of Satan. When you do this, every Blessing will be given to you”. 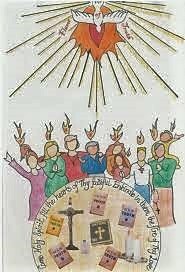 Prayers are Groups A & E: (See https://remnantdisciples.wordpress.com/crusade-prayer-group-format/ for details). These readings at each prayer meeting are so important. They help us to become familiar with the Book of Truth and its messages. To be good disciples and to spread the Word, we must be familiar with the Word. They also aid us to meditate on what Jesus is telling us – he paints a picture with His Words – and this helps us to feel His message in our hearts and souls. It gives us new energy and a new determination to help Him fight the evil. After all, we are pretty hopeless, and we need His direction. We, as children, need Him to guide us and to motivate us, and to not give up. Never in our wildest dreams could we have imagined all the Graces and Blessings we receive through our prayer groups and these messages. I am sure every prayer group has stories to tell. Our prayer group yesterday had a special experience – I will post it soon – in a day or two. Can’t wait to meet up in the New Kingdom! “I was working as a volunteer at OLOC Nursing Home, taking the people to Mass and bringing them back after Mass. After working there for over 30 years, a friend of mine – Keith E. – became a resident. 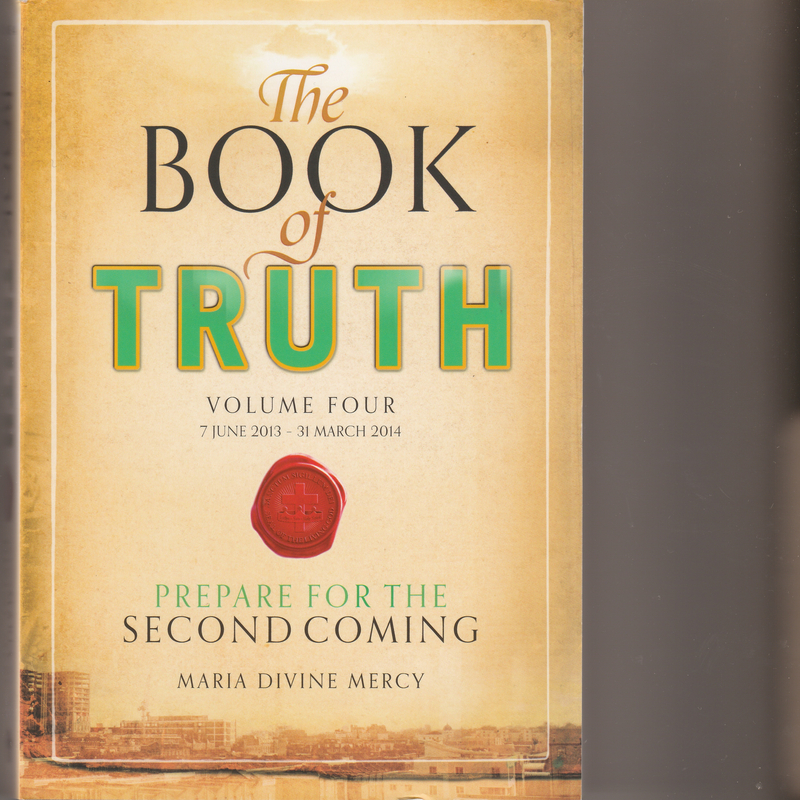 He had earlier loaned me the Book of Truth by Maria of the Divine Mercy. After an operation in 2015, Keith passed away. My wife and I attended his funeral. David’s doctor said that David had a diseased heart. He had had a stent inserted previously, but he started having problems. His wife explains: “The doctors had wanted, for quite some months, to install a pacemaker because David’s heart was part slow and part fast, and he had been getting very weak and very slow.” He ended up in hospital twice to try and find out the cause of his irregular heartbeat. On one of these occasions, the doctor sent him to hospital in an ambulance. Finally, as a form of intervention, the doctor took his car keys away. His doctor was convinced that he needed a pacemaker for his heart. He was sent to the hospital a third time – for tests. The conclusion was that perhaps the existing stent was the problem. After this, his personal doctor, once again examined him. She asked him if he was taking his tablets. He answered “no” because he said that he felt fine now! She accused him of being disobedient! What the doctor didn’t know, of course, was that in the meantime heaven had intervened for him. She examined him and had another doctor, who was there, examine him as well. This time, both doctors said that there was nothing wrong with his heart. His doctor said: “It’s a miracle”. The Book of Truth Connection – Co-incidence or God-incidence? Donna and I are the mother/daughter team that runs this site. The amazing thing is that Donna had known Keith, and I had known David and his wife, from our respective Church communities many years previously. Donna was the young woman and friend of Keith who originally gave David the Book of Truth. Donna and Keith used to have coffee after Mass and talk about everything going on in the Church. Even now, one of her children often plays with one of Keith’s grandchildren. After Keith became ill and entered the Nursing home, he gave the book to David, who was a volunteer helper there. It was that same Book, given to Keith by Donna, which introduced David and his wife to the Mission of Salvation. Donna was completely unaware of what had happened to the Book. I met David and his wife at one of our regional JtM meetings last year in October, 2017. I was surprised and happy to see him again after many years, so I went up to say hello and invited him to our prayer group. He was already attending one, but this was on a different day and time. He does amazing work evangelizing and distributing the literature that we print, (See Menu item for “Tools of Evangelization” on this website). David says that it was about this time (i.e. October, 2017) that the miracle had occurred. Another amazing fact is that the Book of Truth given to Keith by Donna, and then handed on to David – was purchased by me for our prayer group members. (Postage was cheaper that way – after all, we live far away – “Down Under”). had interceded with prayer to save David’s life. Thank you, Jesus for Your Love and care for us. You promised that you are present at every JtM Prayer group. We thank You for all the signs and wonders that you give to us, and all the members of our prayer group that you send to us. 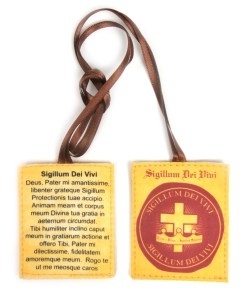 Please help us to always do your Holy Will. Amen.